Four great books on one classic subject in one great volume. It contains all the material and all the illustrations of the four older books, but in an edited and slightly abridged form. Also, the material has been re-formatted so that all the moves and sleights are in one section, all the novelty effects and special apparatus cups are in another section and all the routines are together in the final section. Over sixty sleights, moves and subtleties. Nearly fifty unique and novel mechanical effects with special cups, etc. Fifteen separate professional and commercial routines, including the justly famous routine that Eddie Joseph called "His Favorite". A fitting tribute to a man acknowledged the world over as a master in the field of cups and balls. 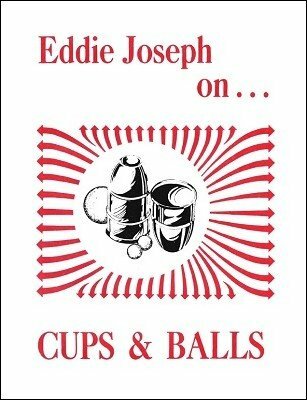 A excellent information by past master of the art of cups and balls recommended for anyone starting out plus those interested in the history side.